What are some ideas for creating a theme garden? Theme gardens are typically based on child-related topics. Young children are experiential, hands-on learners and can be motivated to learn through a garden theme, especially if it is one they helped create. Theme gardens can promote outdoor learning, exploration, and discovery by using plants and design elements to focus on a particular topic. Plants may include vegetables, fruits, and herbs for eating as well as non-edible ornamental plants. Storybook Gardens can focus on children’s literature using a favorite children’s story, such as Peter Rabbit’s Garden with featured vegetables and herbs. Excellent option to get kids involved and to achieve success as it covers a wide age range. 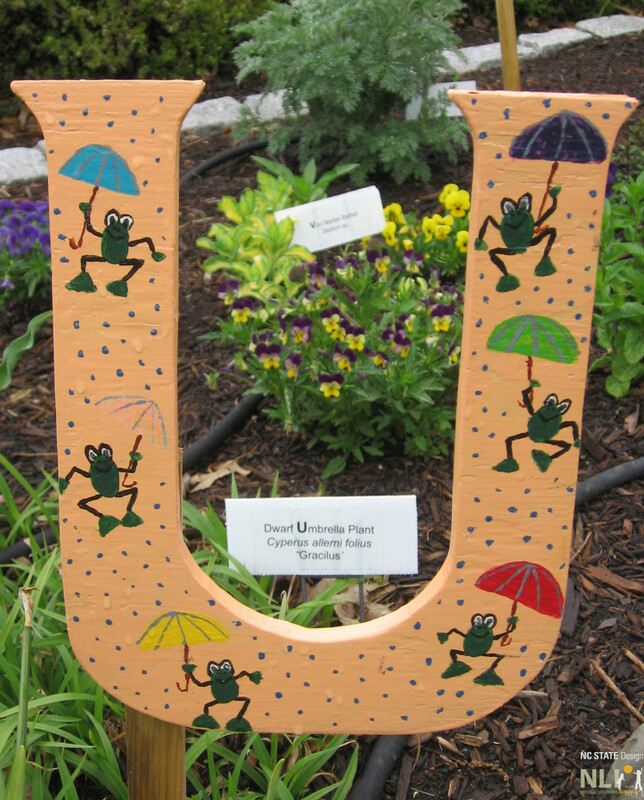 Alphabet Gardens can support language development and early literacy as every plant starts with a letter of the alphabet. This commonplace idea needs to be carefully thought through to make relevant to different age/skill levels. Bird and Butterfly Gardens encourage the study of insects and wildlife and the plants that provide food and shelter and attract creatures to the garden. Easy, failsafe option. Rainbow Gardens made with colorful plants, such as red tomatoes, orange carrots, yellow corn, blue berries, and purple plums helps children learn to discriminate using their senses. Easy to implement. Three Sister’s Gardens reflect cultural heritage and history by showing how Native Americans traditionally grew corn, beans and squash together. Provides opportunities for deeper studies of gardening and cultural history. Good support for curricular strands on nutrition. Recipe Gardens offer endless possibilities such as a Salsa Garden with tomatoes, peppers, onions, and cilantro or Fruit Salad Garden with strawberries, blueberries, melons and other fruits. Easy to implement. Seasonally dependent. Useful links to nutrition topics. 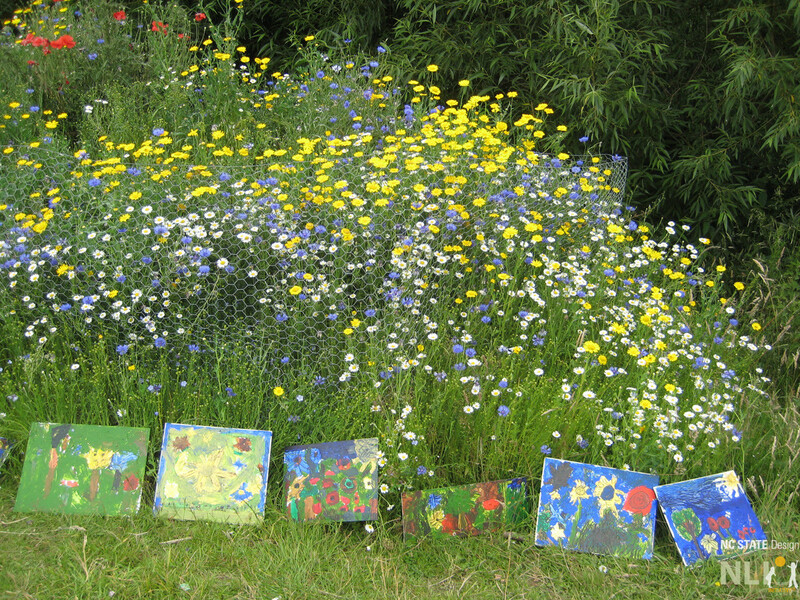 Art Gardens can be wonderful vehicles for free-form creativity by children. Can include plants painted by famous artists such as Monet or van Gogh (easy with sunflowers). Provide an opportunity for a live artist to visit and work with the children on “flower paintings” while they pretend to be the artist. Sundial Gardens can focus on activities such as telling the time with plants that bloom at various times of day (morning glory, daylily, sunflower, 4 o’clocks, moonflowers). Children can stand in the center of the garden and cast their shadow to tell time. 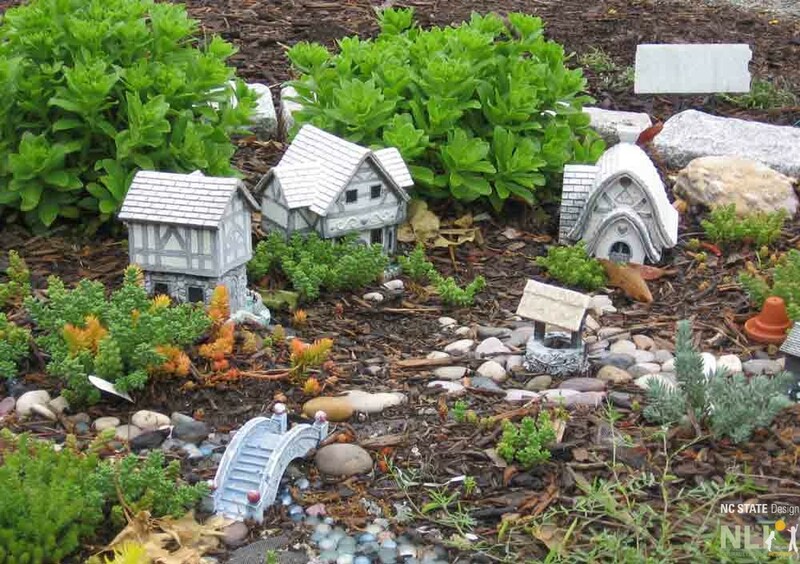 Fairy Gardens provide opportunities for children to create magical worlds that support dramatic play using miniature plants and natural loose parts for building homes for fairies and elves. Include plants with magical names, such as Heuchera ‘Magic Wand’. 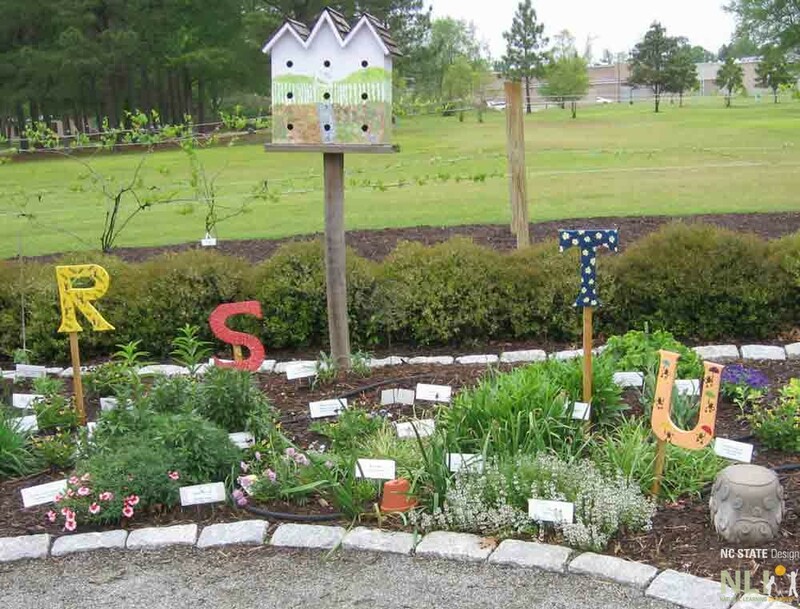 Alphabet Garden with plants for each letter, A to Z. NC Pitt County Arboretum Children’s Garden. Dwarf Umbrella Plant (Cyperus allerni folius ‘Gracilus’) in Alphabet Garden. NC Pitt County Arboretum Children’s Garden. Fairy Garden at the NC Pitt County Arboretum Children’s Garden. 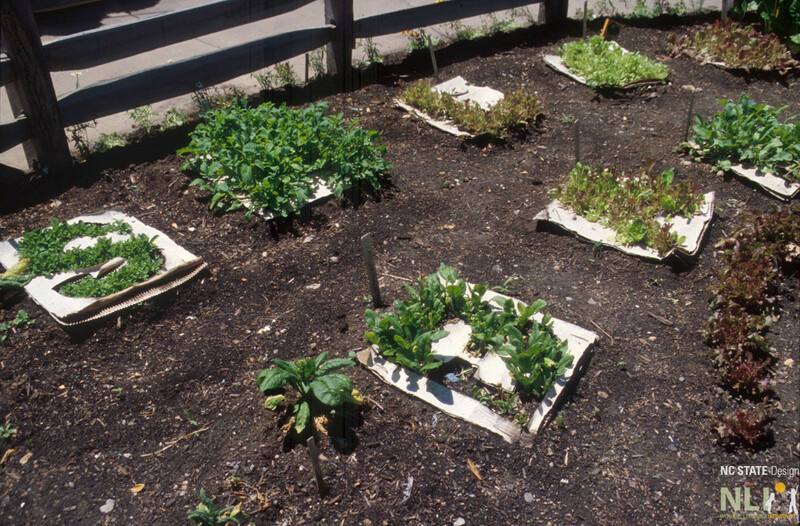 For more children’s theme garden ideas, visit the Michigan 4-H Children’s Garden at Michigan State University, which contains 56 individual theme gardens. Also visit kidsgardening.org.